Version 12 of Capture One is out. 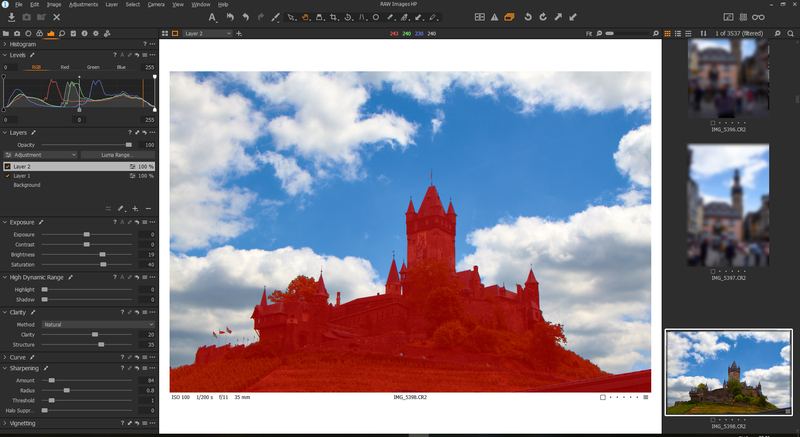 Among other new features you can now also use non-destructive luminosity masking within the RAW image on a separate layer. I have to say I am quite impressed with it. I went to upgrade (I’m currently on 11) but they have really increased the price for Sony Pro version. The Sony only versions used to be very cheep. My guess was that maybe Sony was subsidizing (or co-creating) Capture One starting years ago when Sony used to offer a version free with every camera sold. Maybe that partnership has run its course. Currently, they have priced me out of the market. I’m waiting for a good sale. Not the 10% they have right now or the pathetic upgrade offer they sent me. It is the best, but too expensive since I already have Pro 11. For me Capture One Pro is hard to work with. I use the try version and I just could not get all those separated tools and layers system. Maybe there are good result but there are other programs that are good and easy to work with. 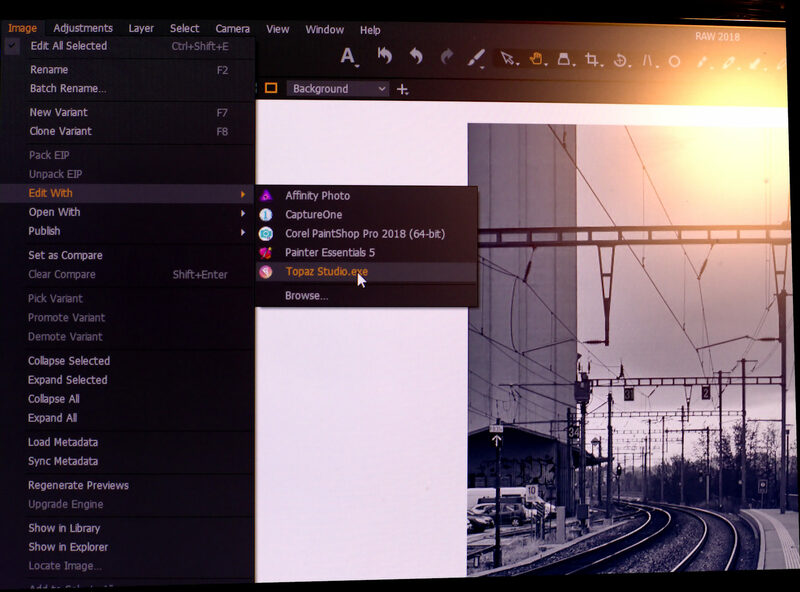 You can do the same in Topaz Labs and many other applications, Capture One is late coming to the party but it is an elegant solution as you don’t have to rasterize it unless you wish to adjust the luminosity mask with brush, etc. Randy, not only for the Sony version… I was a little shocked, too but upgraded. If the next version will have no significant improvements and the pricing will be the same as for 11 to 12, I will probably skip. As I have never used Lightroom, I cannot really compare but I find Capture One is not complicated. Also because the whole user interface including all the tabs are fully customizable. They also have excellent webinars and tutorials which really help a lot. They are all on their youtube channel. Don, I agree that luminosity masks can be found in many image editing programs. On the other hand I think CO have added very useful functions over the years you can use staying in CO and not having to switch between different programs. I`m sure with all the software i have i can probably accomplish anything i want to do. I don’t need another piece of software. Well you should try some other software. They do have a trial versions on them. I use Topaz, Exposure X4, ON1 Photo Raw and those software is easy to use compare to the Capture One. I have to agree with you Joe.Bejm. I find it a very powerful program to use and it can produce wonderful results but is very difficult to use, for me. It starts with opening it up. I want to just open it up and get my photo in there but instead I have to either make it a session or a catalog then import my image. On top of that it creates a file and sub-folders that I don’t want to use. I haven’t opened my program in a long time opting for Topaz Studio and another software company’s product I use. Interesting discussion on Capture One. Nice to see. I have had CO for some time simply because of its capture abilities, however I have started using it more seriously now that my Lightroom 6 is long in the tooth and my wife’s LR 5 no longer works having upgraded to MacOS High Sierra. CO was able to transfer our LR catalogues with no real issues and the more I use CO the more I am liking it and find it quite intuitive after a bit of practise. For me the one new feature that is promising is CO now allows plugins. How nice it would be if Topaz plugins could be made available as well. I am not sure about the ‘traditional’ Topaz plugins. I have never tried but which of those can work with RAW files? I tried it with Adjust 5 but Adjust 5 cannot display RAW files. You can send a RAW file form CO to Topaz Studio and back to CO without any problem. (see attached). I am on Windows but it also should work on Mac (I hope). right click on the thumbnail of the image you want to send to TS and click on ‘edit with’. Choose Topaz Studio from the list, choose file format and resolution and click ok. Make adjustments in Studio and the click on Save. this will send the file back to Capture One.